This first level course is an introduction to the dynamic forces which influence effective communication in business between people from diverse cultural backgrounds. Participants will acquire cross-cultural knowledge and build intercultural expertise and critical thinking skills through readings, class discussions, exercises, and role-playing. The goal is to learn skills that will help students to be effective in a variety of cultures. The course consists of a one-hour lecture and a two-hour lab each week. The lectures provide the theory and demonstrations; the labs provide opportunities to apply the theory. Students will have some choices in project applications. English 12 or equivalent (such as COMM 0005). *(A)*PREREQUISITE: Students MUST have a minimum grade of 50% (PASS) in English 12 or equivalent (COMM 0005, COMM 0015, etc.). For a complete list of English 12 equivalencies, refer to the Admissions web page at bcit.ca/admission/english. Describe the nature of intercultural communication and explain why miscommunication may occur. Define terms such as enculturation, acculturation, ethnocentrism, norms, rules and roles, subcultures, and communication barriers, high and low context cultures. Compare how cultural views of time, relationships, the environment, and sustainability differ. Explain the effect of culture on attitudes toward gender, work, ethics, religious influences, and individualism versus collectivism, power and privilege, and critically examine one's own values in relation to those of other cultures. 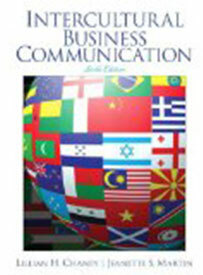 Explain how business communication in Canada may differ from formats used in other countries. Describe appropriate business and social etiquette in Canada and compare and contrast with a variety of other cultures and one's own. Identify symptoms of culture shock and name several ways to alleviate it. Describe the influence of culture in common negotiation styles preferred by different cultures. Interested in being notified about future offerings of COMM 1117 - Introduction to Intercultural Business Communication & Workplace Diversity? If so, fill out the information below and we'll notify you by email when courses for each new term are displayed here.